The Times searched the hallways to learn about the stories behind the ink. Here’s what we found. 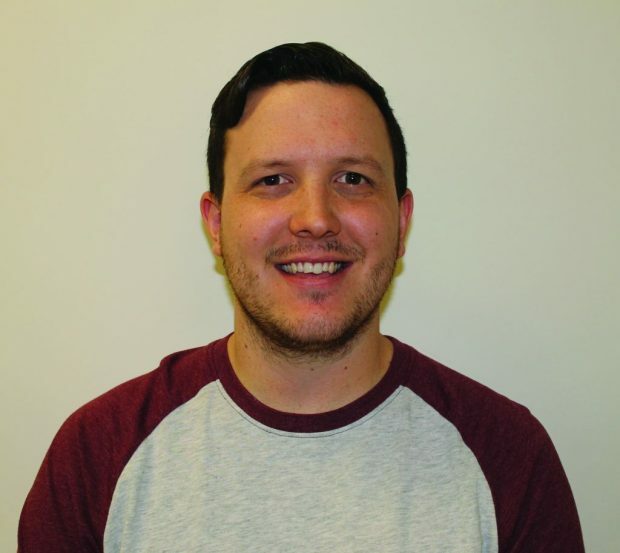 Patrick Newell, clubs and communities coordinator, has seven tattoos that he keeps close to his heart. The word family is on his forearm, a number six is on the back of his arm in memory of his great grandparents, and five trees around his arm represent each of his siblings. The words “only time will tell” are on his wrist, the letter N adorns his back for his last name, and the Dominican Republic is imprinted on his calf because every year he takes part in teaching students English. 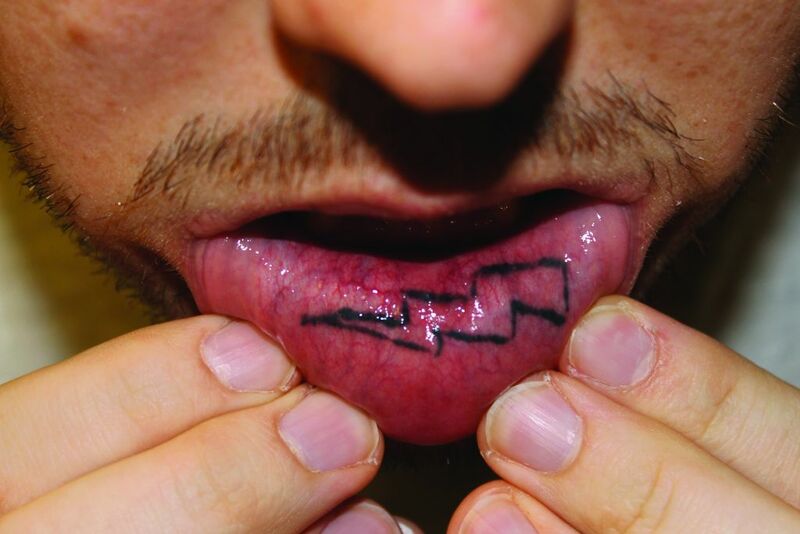 And finally, he has a lightning bolt on the inside of his lip for Algonquin Thunder. 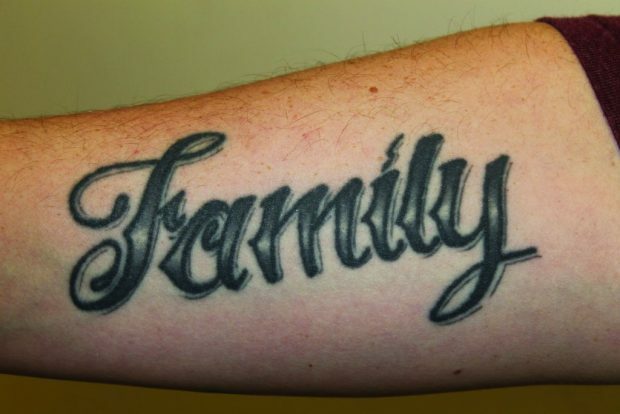 Patrick’s first tattoo was the word family. Because of his large family, he decided to get it done when he turned 19. Newell is so used to the pain that when he was getting his back tattoo, he actually fell asleep while they were doing it. To say the least, he definitely doesn’t regret any of them. 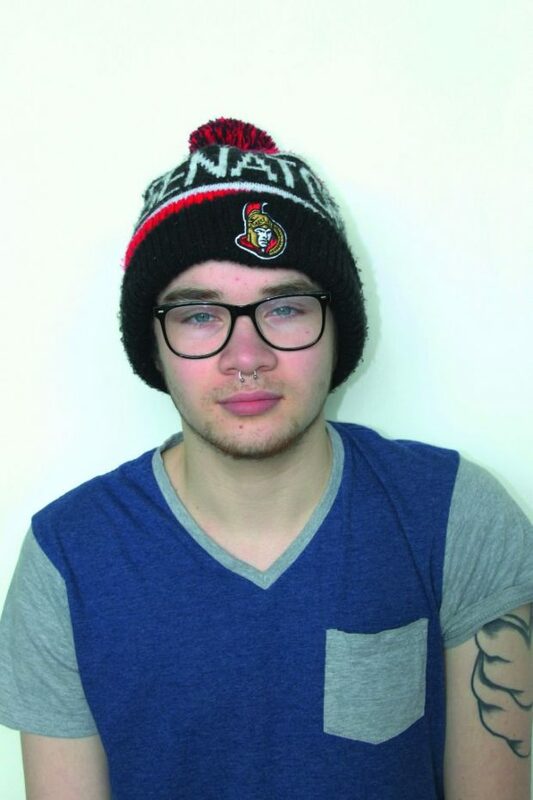 Brian Cirne, music industry arts student, has two tattoos he came across after going through a hard time in his life. He has two straight bands going around his arm with one bump in one of the bands, as well as a piece of armour on his shoulder. After having the support of his friends when he was feeling down, he felt he wanted to portray how important this was on his body. The armour on his shoulder is in recognition of his diabetes. Cirne likes the minimalistic look of both of them, while still having a lot of meaning. He enjoys being able to put something on his body that means something to him. 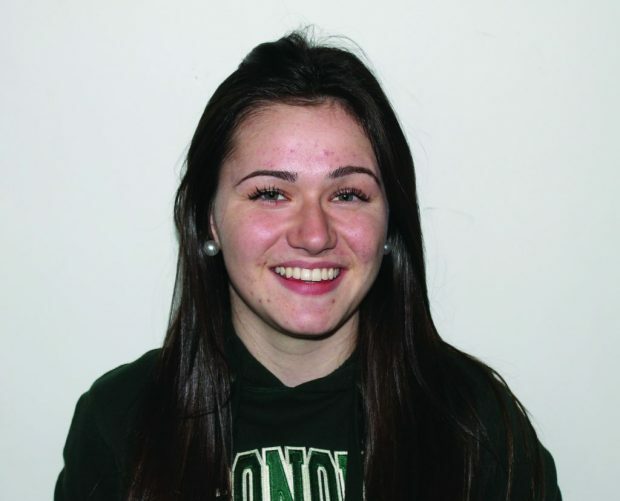 Hailey Girvin, fitness and health promotion student, has one small tattoo behind her right ear to show off a bit of her personality. 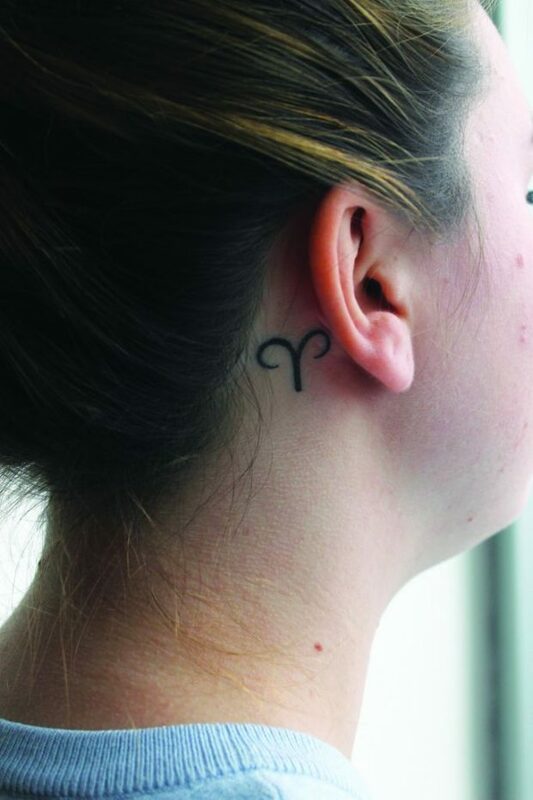 After being told her whole life that she was stubborn and “definitely an Aries,” she felt it was only fit to get her zodiac sign permanently on her body. Because it is in a place where you can’t see it if her hair is down, Girvin finds herself wearing her hair up around people she is more comfortable with. 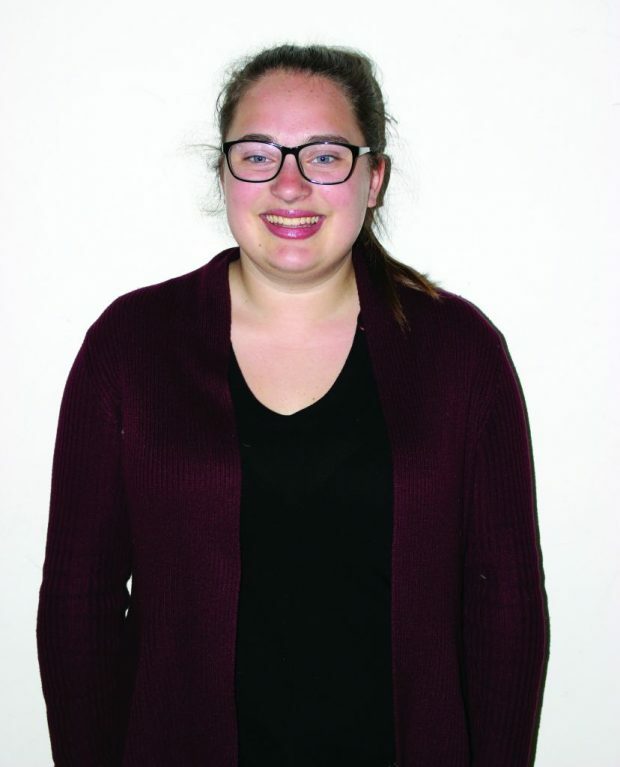 Girvin really wanted to be able to do her own thing and express herself in some way, so she figured getting a tattoo was one of the best ways she could do that. 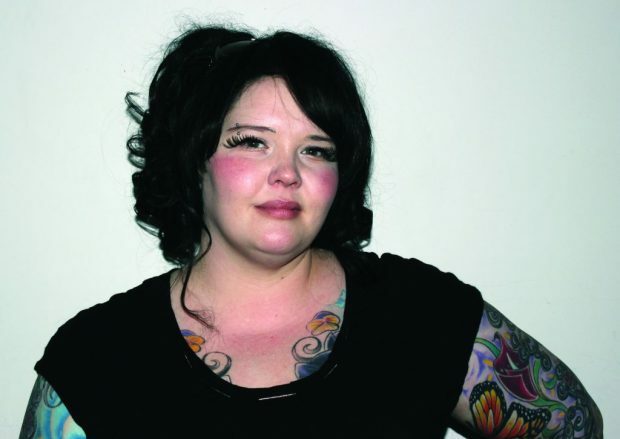 Melyssa Vezina, social service worker student, has seven tattoos scattered across her body. The one on her ankle reads “carpe diem.” Her stomach bares an infinity sign, and there is an outline of a heart on her side. She has a sun and moon on her thigh, an Alzheimer’s ribbon on her ribs and three roses taking up her forearm. Lastly, she has the word beautiful in Italian on her other arm. 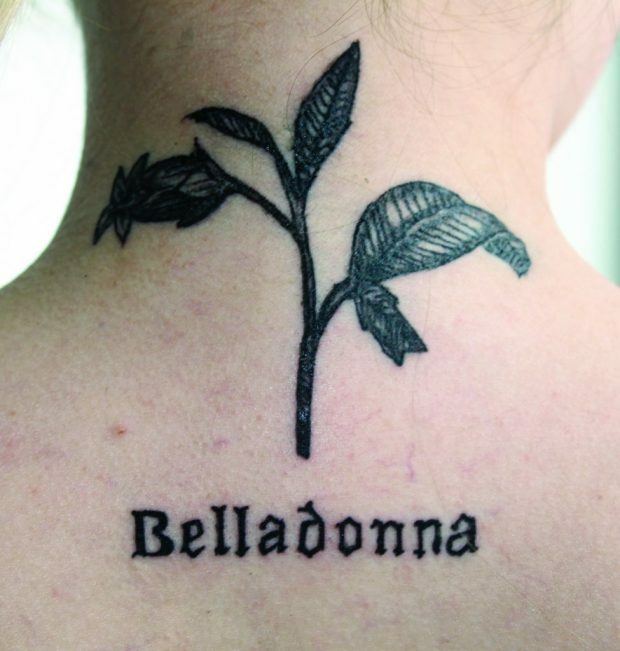 Although each of Vezina’s tattoos are special to her, if she had the chance there are a few she may take back. Since she was young and had a lot of them done impulsively, she thinks there is a chance she may regret some of them down the road. 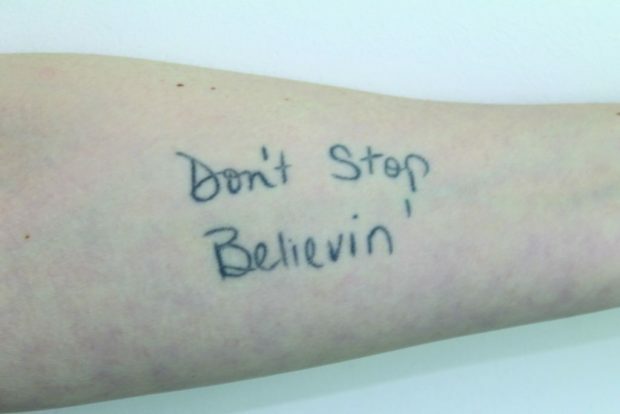 Allie Grant, advertising and marketing communications student, has one tattoo on her forearm that says “don’t stop believing.” Not only is it her favourite song, but it’s also written in her mom’s handwriting. 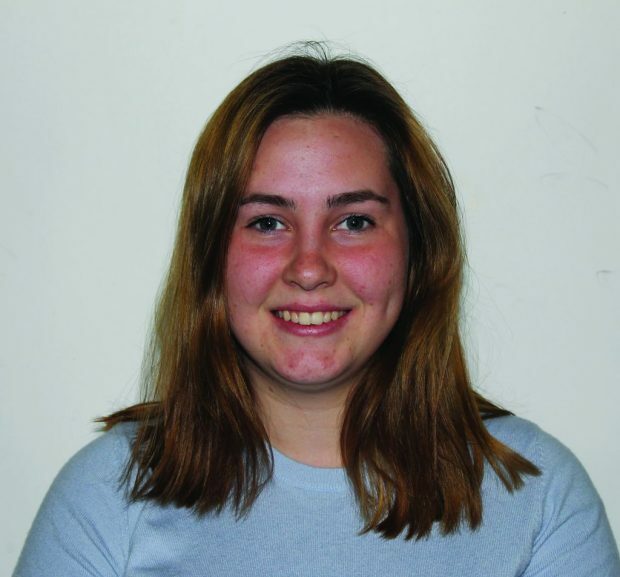 Grant was in a different program before than she is now. After having a rough year, she thought it was the perfect time to get it tattooed. Because it is on her forearm, she can always see it no matter what she’s doing. Although nervous about getting her first tattoo, Grant now says the pain is not all that bad and is ready to get more. 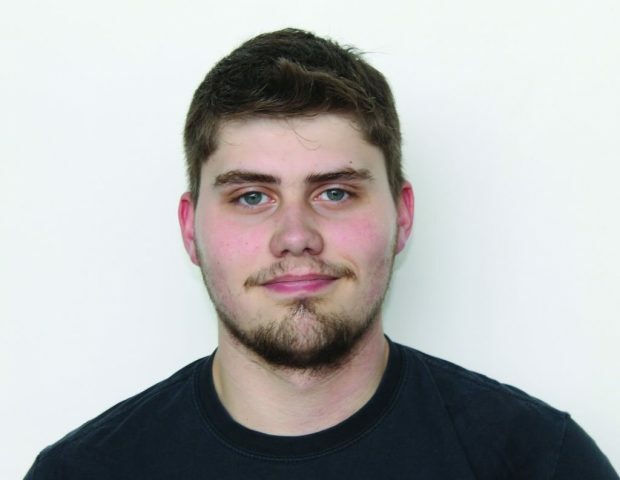 Tyler Korteweg, construction engineering technology student, got his first tattoo this past January and his second earlier this month. He first got a symbol on his shoulder to represent mind, body and spirit with a circle around it representing forever internal protecting. He then got a tattoo on his bicep in memory of his Poppy, keeping his role model close to his heart. After growing up surrounded by a family covered in tattoos, Korteweg began to love them and want some of his own. 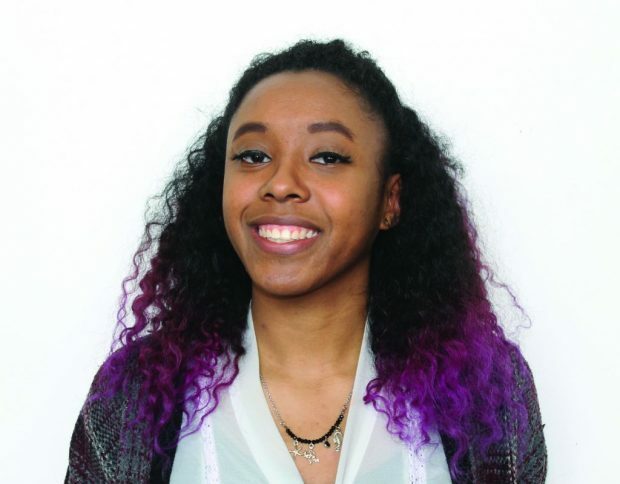 Deborah Jean-Louis, public relations student, has one tattoo on her wrist that she got three years ago. 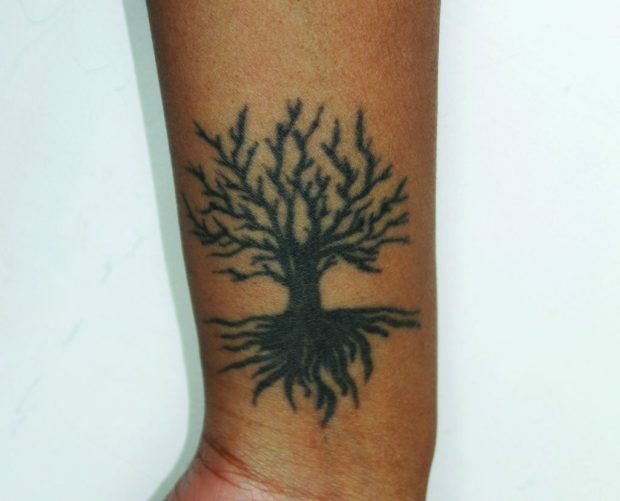 She got a small tree put on her body to always remind herself of where she came from and to always reach for her goals; the roots to the branches. Feeling hopeless at the time, Jean-Louis wanted some sort of self-motivator where she would always see it. Putting it on her wrist, she knew it would still be easily concealable but she could enjoy it for herself. 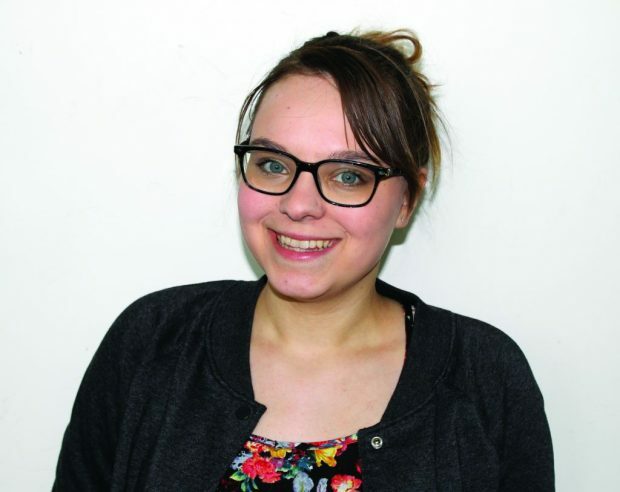 Mia Diedrich, advertising and marketing communications student, has four tattoos to express who she is. She has a flower from her favourite movie on her back, a dolphin on her ankle, an origami bird on the other ankle and her favourite band, Mötley Crüe on her lower back. Growing up, Diedrich’s stepfather had a lot of tattoos which is where her interest in them began. She simply always thought tattoos were beautiful. Although her tattoos are all in places that can be covered up easily, Diedrich loves the look of them. She already has plans for more. 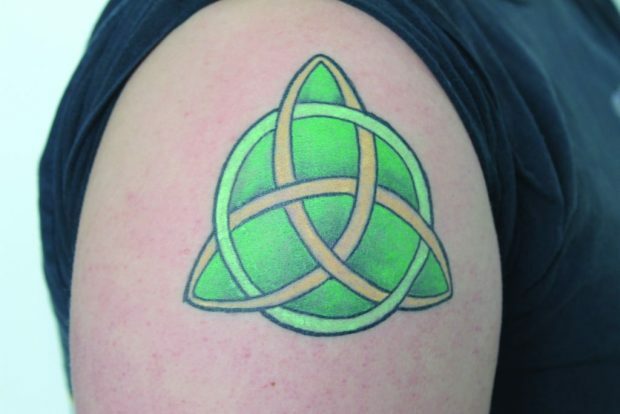 “I’m totally down to flaunt them when I can,” said Patrick Mahaffy when speaking of tattoos. 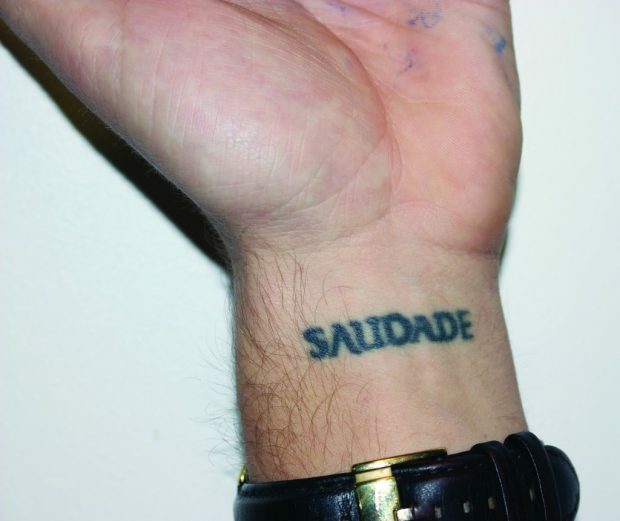 Mahaffy has a total of seven tattoos placed all around his body. He has some on his shoulder, leg, arm and his two favourites on his wrist and back. 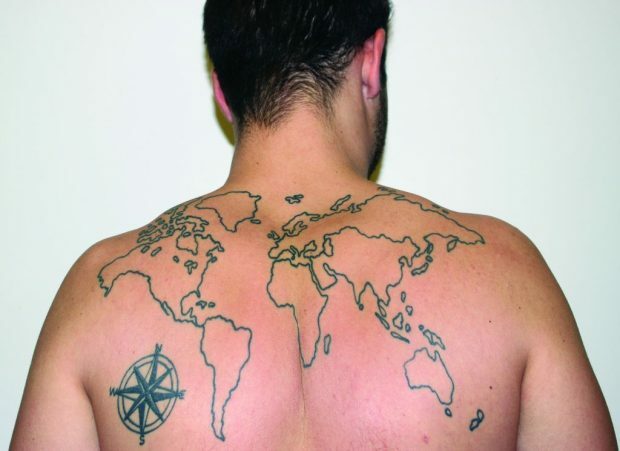 His back tattoo is a picture of a map that goes from shoulder to shoulder. He loves to travel and has knocked about 15 countries off his list so far. Therefore, he decided to get the world tattooed on his back as a type of project he can work on to continue to travel. Due to the fact of being in business marketing, Mahaffy thought carefully about where to place the tattoos. He put them in a way he can easily cover up if wearing professional attire, but also a place he can choose to show them off. 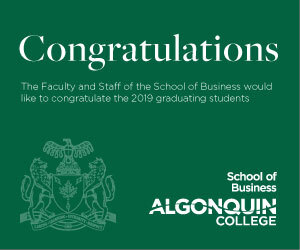 “I love my tattoos, all three,” says Jenna Huot, a business student at Algonquin. Huot got her first tattoo almost a year ago. She decided to get an anchor with a bow on her arm to symbolize an important event in her life. 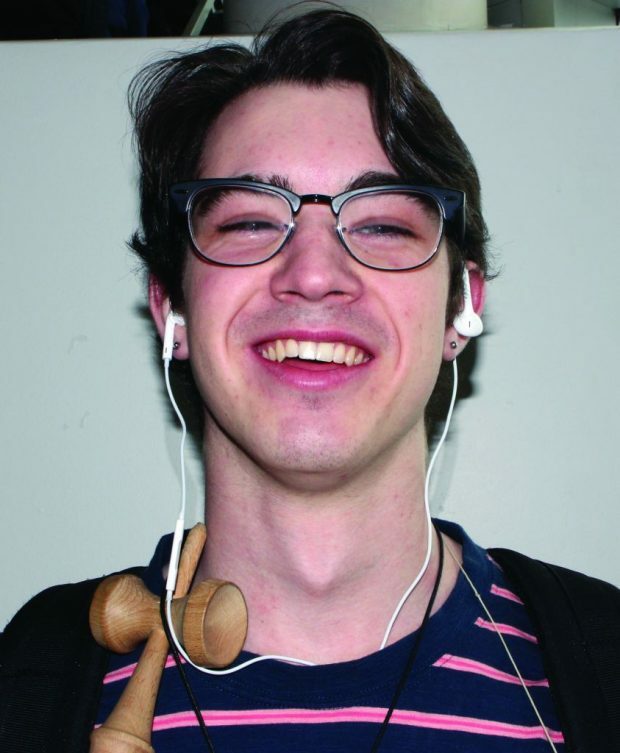 “It’s for when my parents got divorced, so it represents me keeping myself grounded,” Huot said. She added the bow to give it a nicer look, but still something she could connect to. Since getting her first one done, she’s gotten two more and absolutely loves them. She has one on her ankle, which also has deep meaning to it. It is an unalome, which represents a path to enlightenment. 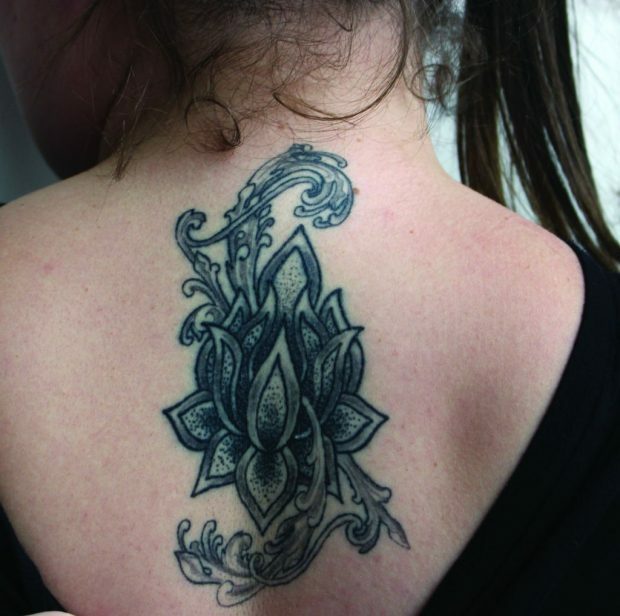 She also has a lotus flower on the back of her neck that she got someone to design for her. She loves the look of the flower and wanted it in a place where people could still see it but it doesn’t jump out at you. 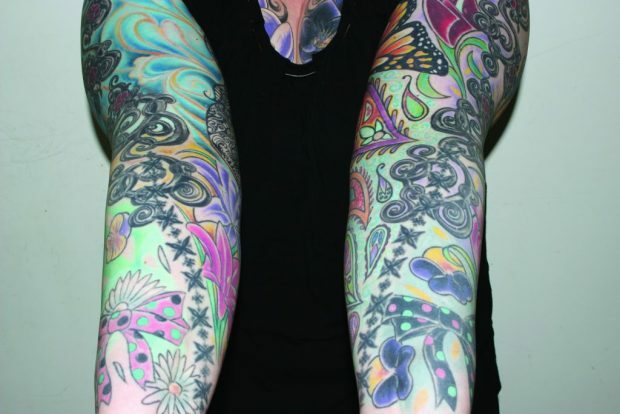 When Shelley Macgregor sees tattoos, she sees decoration, art and beauty. “I was attracted to body art from a young age. I thought it was really cool and liked the idea of permanent decoration,” said Macgregor. She has about 50 tattoos placed all on her back, legs, shoulder and arms that create two sleeves. 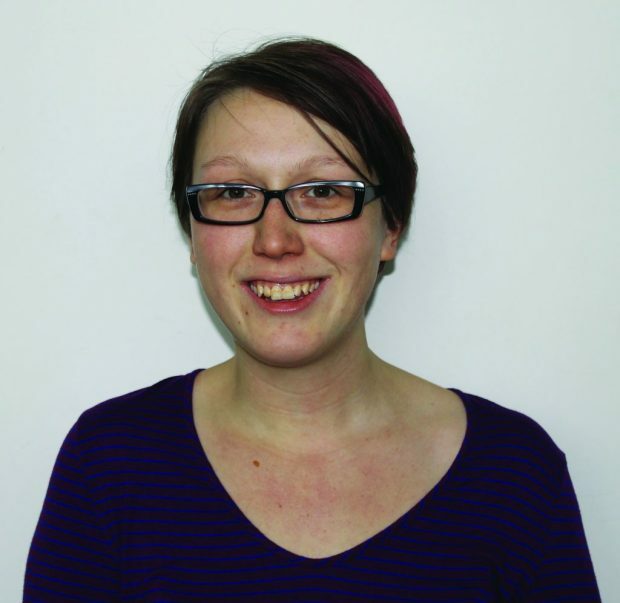 Macgregor plans on getting more from artists that she’s been attracted to and following for a while. 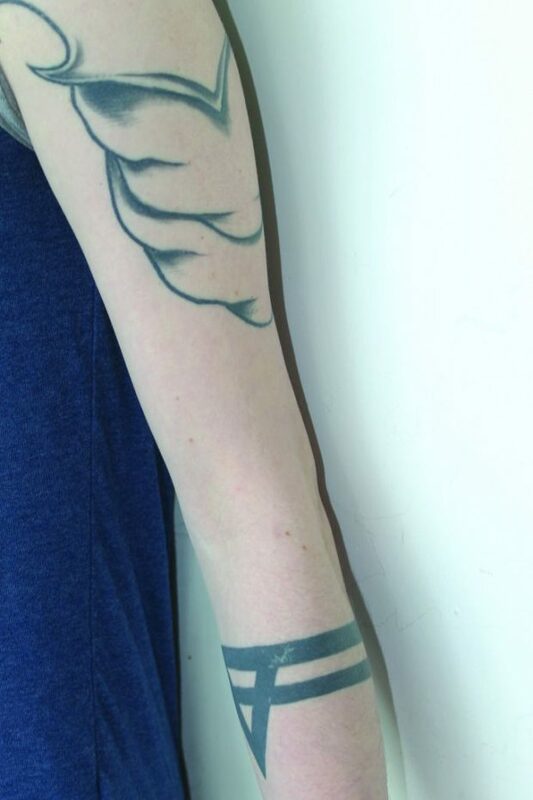 Her first one was a spontaneous decision that is now covered up with another tattoo. The rest were well thought out and designed to her liking. “I definitely had a plan going in,” she said. In fact, Macgregor loves the look so much that she got all the spaces on her arms filled with flowers to add to the appeal. 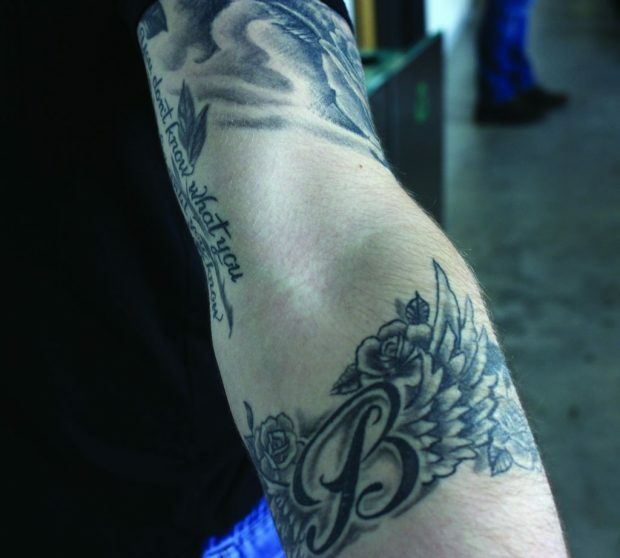 “It’s kind of an addicting thing,” said Luke Brown, about his four tattoos. 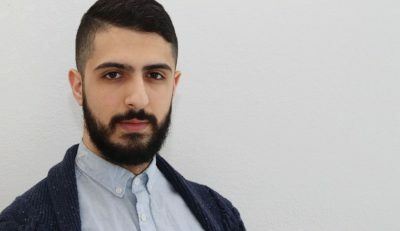 He soon hopes to finish a three-quarter sleeve that will include his parent’s birthdays and a few more personal touches. Brown got his first one about six months ago. It is the letter B that stands for his last name. 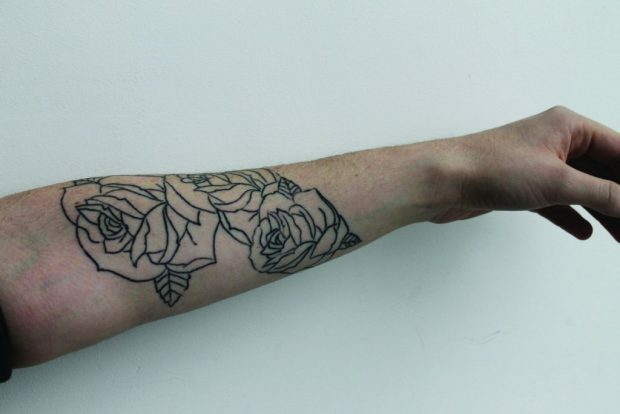 However, his favourite would be the newest addition to his arm. It’s a tiger with bows that stands out when you look at his arm. A lot of Brown’s friends have tattoos, which is what got him interested with the idea about body art in the first place. Stephanie Hunter has 11 tattoos, yet seven of them she’s done herself. “I want to be a tattoo collector,” said Hunter. Currently, she has tattoos on both arms and stomach. One day she plans on getting both arms completed, as well as the rest of her body. “It’s to represent that no matter how hard tough times get, it’ll all pass eventually.” Hunter’s dad also has a matching one with a daisy, which was her grandma’s favourite flower. Hunter decided to express herself through body art at the age of 16 when she got her first one done. Since then, it has become something she loves. “On my body I have a lot of scars. I like to use them (tattoos) as a way to cover up things and make them look gorgeous,” said Hunter. 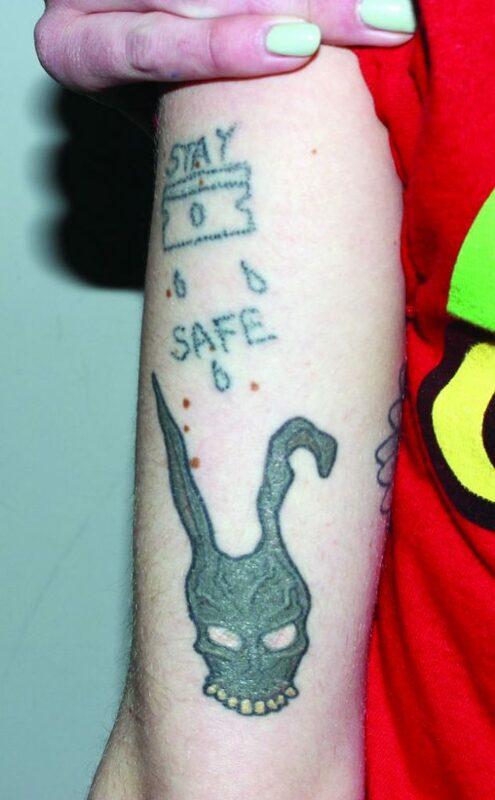 A lot of her other tattoos are a reminder to herself to stay away from negative influences. The ones she’s done herself were for practice, but still hold value to her. 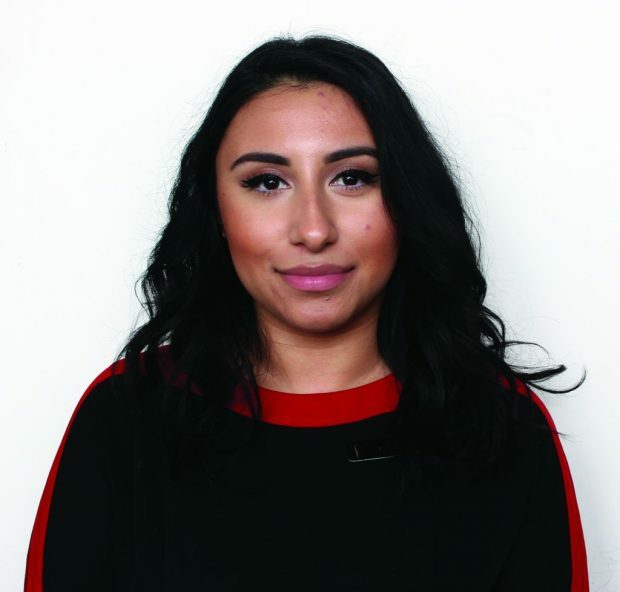 Although Kristal Barakat’s tattoos may have been an in-the-moment-decision, she doesn’t regret them at all. Barakat has five tattoos placed on her back, ankle and finger. “All of them were pretty spontaneous,” she said. Loving the outcome of her first one, Barakat decided to get more. She chose places on her body where she can show people if she wants to, but also keep them hidden if she doesn’t want to show people. Her other four tattoos have more meaning to her as well. She’s decided to express herself through them as a reminder for things she has done in her life. 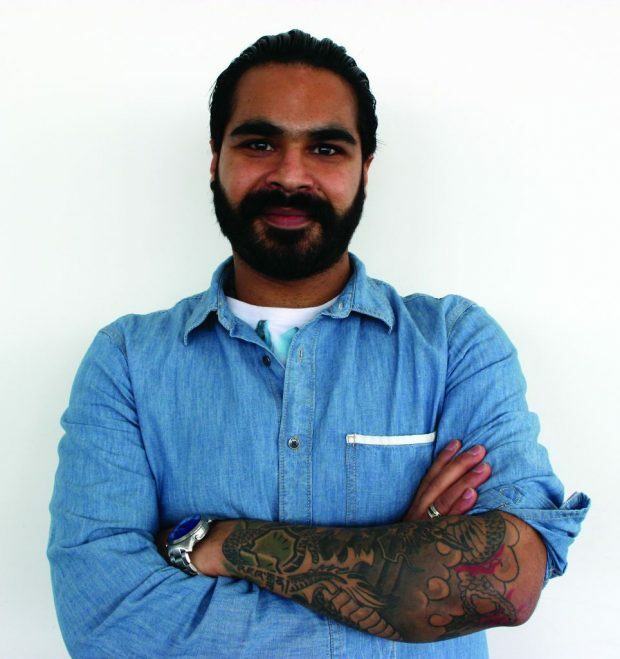 Abhay Sharma has tattoos for his own personal reasons. “Every tattoo I have is based on spirituality,” he said. Sharma got his first tattoo when he started meditating. It was a picture of his spiritual master. 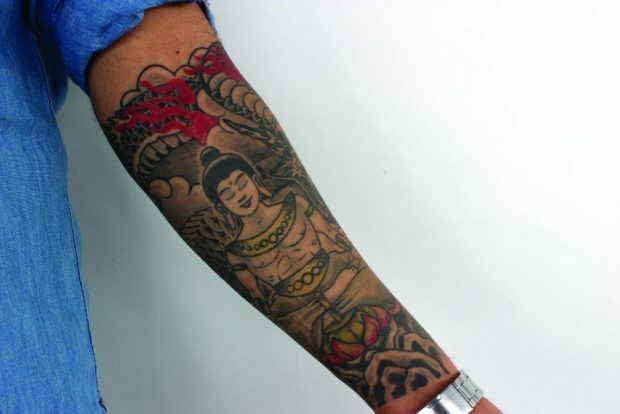 “It helped me express motivation, balance and peace.” His second one is representation to depict life and death. It’s a reminder to him to live his life and enjoy it. Sharma’s third tattoo was an addition to his second, in which he added a dragon to symbolize life. For Sharma, his tattoos are an expression as well as a reminder of what he believes in. He wants to ensure that when he’s older, he’ll still have the same connection as he does now. “Tattoos are something I commit to,” he said. 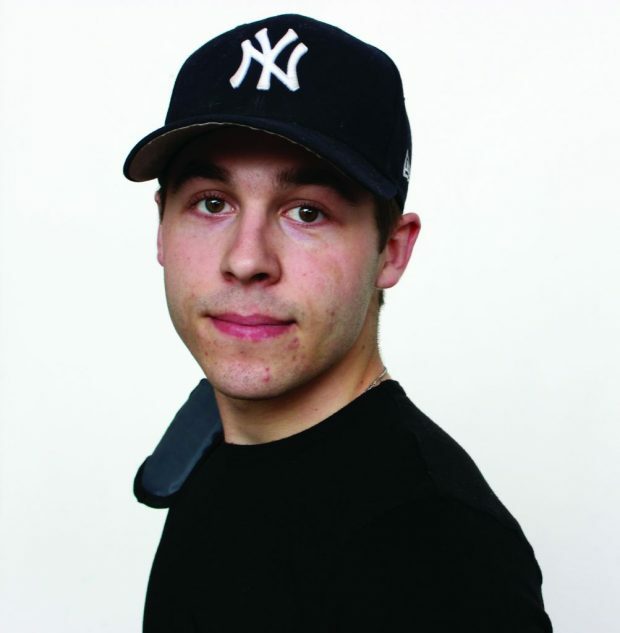 Ryan Calderone, community and justice service student, has many different reasons for getting his three tattoos. Calderone got two more on his arms. One of them is a reminder for him to stay free, while the other one represents growth and has a deeper, personal reason behind it. Calderone isn’t sure if he’ll get more at the moment. 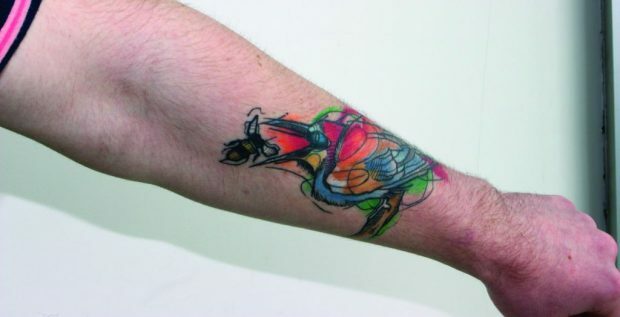 However, he is open to the idea of adding a few more to his body in time to come. Body Art Expression Reviewed by Amber Provencal, Holly Menchetti on March 28, 2017 .